A mushroom (Agaricus bisporus) is the fleshy, spore-bearing fruiting body of a fungus, typically produced above ground on soil or its food source. There are around 140,000 species of mushroom-forming fungi in the world, but only 100 species or so are being studied for their potential health benefits and medicinal applications. Here are 7 health benefits of the mushroom. 1. Mushrooms have a high selenium content. Selenium is found in large quantities in mushrooms and can improve bone health by adding strength and durability. The mineral also strengthens the teeth, hair, and nails. Also, this essential nutrient is a potent antioxidant, which rids the body of free radicals. One cup of mushrooms contains 9 percent of selenium. 2. Mushrooms are great for weight loss. One cup of mushrooms contains just 15 calories. This is a nutritionally dense food, which helps people lose weight. Mushrooms also have a meaty texture, helping people transition to a vegetarian diet if they please. 3. Mushrooms can help enhance the immune system. Mushrooms contain a good amount of vitamin A, vitamin C, and the B-vitamin complex to strengthen the immune system. Also, mushrooms contain natural antibiotics like polysaccharides and beta-glucans that can stimulate and regulate the body’s immune system by helping heal ulcers and ulcerous wounds. Lastly, studies have shown that a powerful antioxidant called ergothioneine can boost the immune system. 4. Mushrooms can help improve your bone strength. Mushrooms are a rich source of calcium, which is an essential nutrient in the formation and strength of bones. This fungus also contains an excellent source of vitamin D, which helps calcium absorption. This drastically reduces the chances of developing conditions like osteoporosis. 5. Mushrooms can help stimulate the red blood cell formation. Copper and iron are essential for the new blood cell formation. One cup of mushrooms contains 2 percent and 11 percent of the recommended value of iron and copper, respectively. A deficiency of iron can lead to anemia. 6. Mushrooms can help regulate cholesterol levels. Mushrooms contain no cholesterol or fat. Also, the fiber and specific enzymes in mushrooms also help lower cholesterol levels. This helps to prevent various cardiovascular diseases like atherosclerosis, heart attack, and stroke. 7. Mushrooms can contribute to improving your heart’s health. Fiber, vitamin C, vitamin B6, and potassium have been known to improve the heart’s health. Mushrooms are rich in potassium with 225 milligrams per cup. The recommended 4,700 mg of potassium is not obtained by many individuals in the United States, according to the National Health and Nutrition Examination Survey, despite the benefits of increased potassium intake. One study suggested that individuals who consumed 4,069 mg of potassium per day had a 49 percent lower risk of death from ischemic heart disease compared with those who consumed less potassium approximately 1000 mg per day. Mizuno, T., Sakai, T., & Chihara, G. (1995). 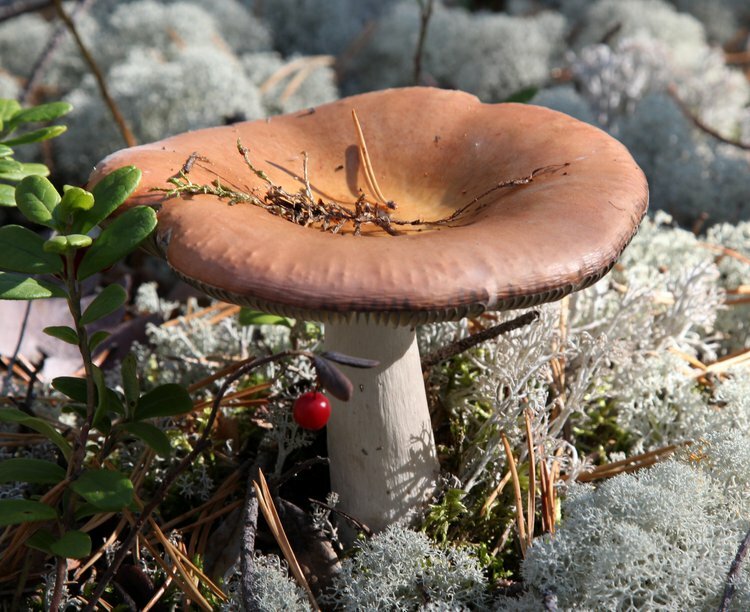 Health foods and medicinal usages of mushrooms. Food Reviews International, 11(1), 69-81. Akramienė, D., Kondrotas, A. J., Didžiapetrienė, J., & Kėvelaitis, E. (2007). Effects of beta-glucans on the immune system. Medicina, 43(8), 597-606. Dunlap, W. M., James, G. W., & Hume, D. M. (1974). Anemia and neutropenia caused by copper deficiency. Ann Intern Med, 80(4), 470-476. Talpur, N., Echard, B., Dadgar, A., Aggarwal, S., Zhuang, C., Bagchi, D., & Preuss, H. G. (2001). Effects of Maitake mushroom fractions on blood pressure of Zucker fatty rats. Research communications in molecular pathology and pharmacology, 112(1-4), 68-82. Falandysz, J., & Lipka, K. (2006). Selenium in mushrooms. Roczniki Panstwowego Zakladu Higieny, 57(3), 217-233.